SKU: SC 2491. 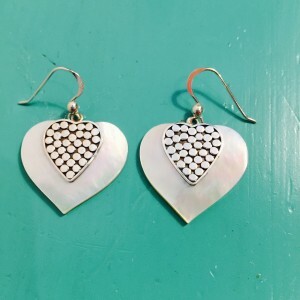 Categories: Earrings, Mother of Pearl. 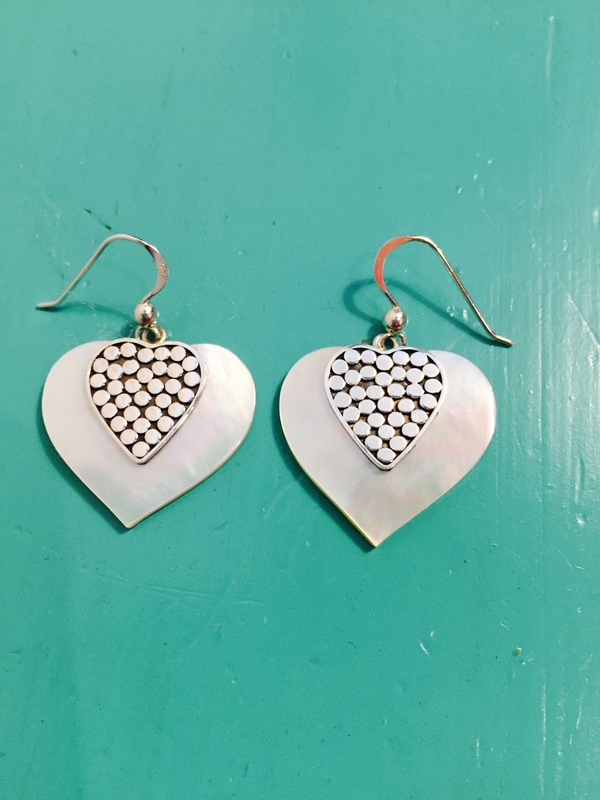 Mother of Pearl Heart earrings – the perfect gift for a loved one. What woman doesnt love hearts? And these are truly beautiful. 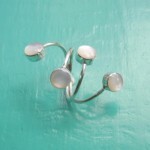 The irridescent colours of mother of pearl shimmer against the lovely patterned Sterling Silver setting. Team these up with any one of our Mother of Pearl Pendants for that stunning overall look. The iridescent kaleidescope of colours in the Mother of Pearl are breathtaking.